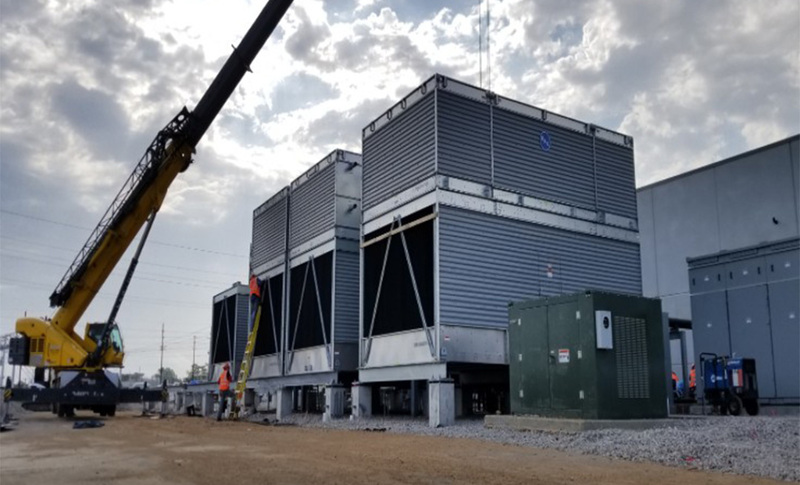 The first six of the 10 cooling towers for our Houston facility are now in place! Solidly sitting alongside the six metre-high pipe stands, the towers themselves are six metres (20 feet) high, seven metres (24 feet) long and more than four metres (14 feet) wide. What’s more, they weigh more than 30 metric tonnes (that’s 67,000lbs) — to put that into context, a wooly mammoth only weighed less than 10 tonnes! Getting them into place was no small feat and took several hours. Each of the six enormous towers came in four parts and altogether the towers had to be delivered on more than a dozen trucks. 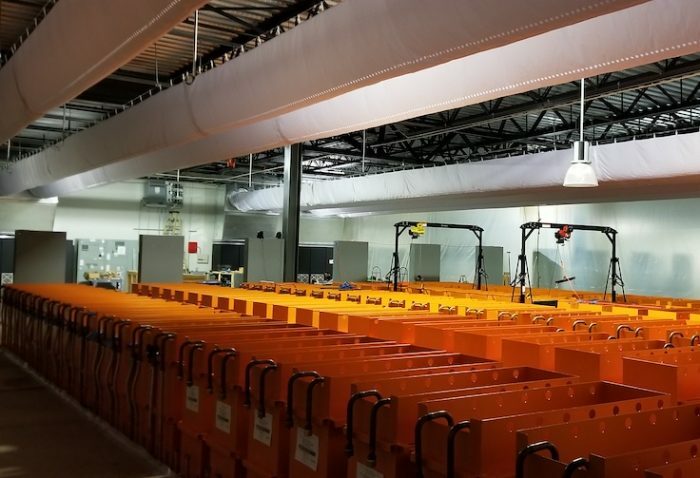 Inside the datacentre we now have more than 120 tanks in place, more than 250 nodes inside the tanks, and another 25 tanks are scheduled to arrive in the coming days — getting closer for the official launch soon.